A blend of the local and contemporary and surrounded by a rice field, this eco-friendly resort promises to please your palate. Spend a lazy day at the beach, lounge by the Chocoloate Pool, or head over to the nearby Sam Roi Yot National Park. Offering just 10 rooms, the resort is private and offers jaw-dropping views from all over the property. You can rest assured that the bakery and its homemade goodies will tempt you with their delightful treats. Other than a fantastic design, La A Natu Bed & Bakery Resort offers Wi-Fi throughout the property, laundry and room service, as well as meeting facilities for any event you may have planned. Far from a major town, La A Natu Bed & Bakery Resort is ideal for those looking for a scenic getaway holiday. Short Description: A blend of the local and contemporary and surrounded by a rice field, this eco-friendly resort promises to please your palate. 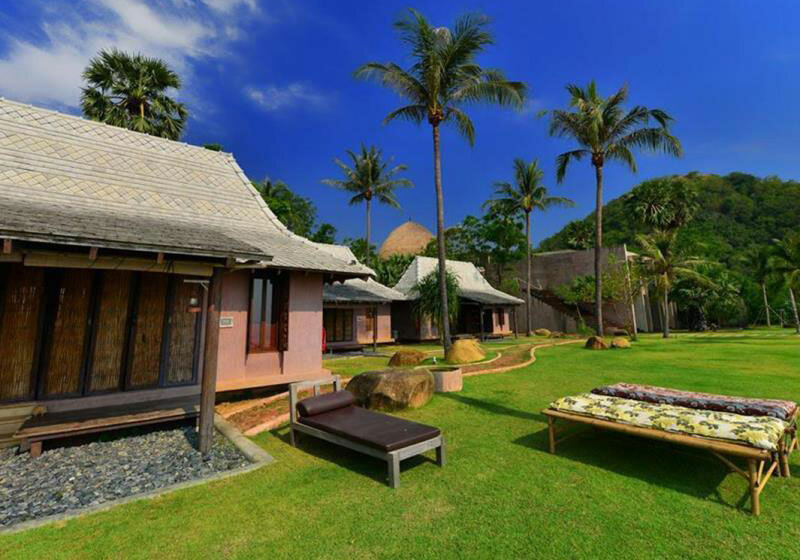 Spend a lazy day at the beach, lounge by the Chocoloate Pool, or head over to the nearby Sam Roi Yot National Park.